With the ground in his favour TOP GAMBLE can defy a big weight and bounce back to winning ways for Kerry Lee. It has been a frustrating first half of the season for the trainer but it is probably in her favour that the ground is much softer now as she does seem to train a few mudlarks. Top Gamble is certainly one of those. He’s about to turn 11 but he’s been a grand servant, if just below top class. However, I think he’s at his best dominating inferior rivals rather than in graded class. He has looked as good as ever this season, albeit his second outing told us nothing really with him falling early. First time out though he was a fine fourth to the classy Lady Buttons at Newbury. Given that race was over two miles, and he might want further now, and also on ground quicker than ideal, it was a thoroughly satisfactory reappearance. He will strip fitter, the rain has come, and he might need this sort of trip these days – just short of two and a half miles. While he faces by far his toughest test to date, it has been hard not to be impressed with what KALASHNIKOV has done in his first two outings over fences. The 11-4 quote for the Arkle prior to this race with one firm is ludicrous in my opinion but if he comes through this test with flying colours then we can start to believe the hype. He faces Dynamite Dollars, already a Grade One winner but giving weight away, and the likable Maria’s Benefit, who lacks the scope of the other two but if she’s ever going to land a big one over fences you’d think it will be here given its tight nature and her liking to get on with things. I just think Kalashnikov, who probably needs a test before the Arkle, will come looming up in the straight and I’m looking forward to seeing what he can do. This is usually one of the weaker Grade Ones of the season and that looks the case again. While Defi Du Seuil did the double it is unusual that any horse who likes the usual heavy ground that this race tends to be run on is just as effective on a decent surface come the Triumph Hurdle in March. ADJALI created a huge impression on his British debut at Market Rasen and this race was immediately nominated. It will win no prizes for originality and also in his favour is the fact the Chepstow ground is not as deep as it can be for this meeting. CHILLI FILLI might just be a bit too speedy for Momella who drops back down into handicap company. There is no doubt that Momella, now with Harry Fry having achieved plenty with Dan Skelton, is a classy mare, having finished second to Black Op in a Grade One at Aintree last season. The change of yards was strange and she had a wind op before she reappeared at Newbury in the Long Distance Hurdle Fry won with Unowhatimeanharry. Momella fell, too far from home to judge how she would have fared. What we do know, though, is that Chilli Filli is improving at a rate of knots and is bred to get three miles, in fact it should bring out more improvement in her. Henry Daly seems to fare very well with the mares he has, several of which have been in these colours, and he will be pleased the ground is good as that is definitely to her liking. A year younger than the favourite, she should still be improving. ANOTHER EMOTION ran a cracker last time against a rival with loads more experience and he looks to be favourably handicapped here. Warren Greatrex, fresh from Grade One glory with La Bague Au Roi at Kempton, will have been delighted to see Another Emotion run so well after over 200 days off the track and he travelled as well as the winner to the second last at Sandown where the desperate ground and steep finish caught him out. With the ground not as bad, which is a strange thing to say about Chepstow, he looks sure to go well off just 3lb higher as long as those exertions have not left a mark. 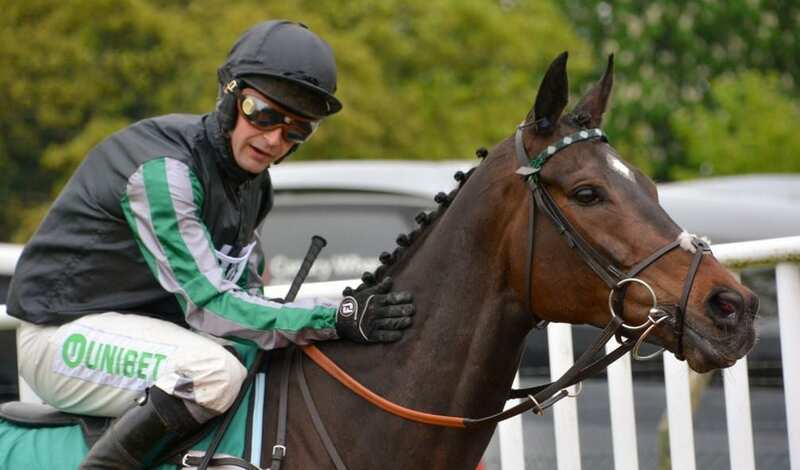 This should be little more than a penalty kick for ALTIOR (pictured) but as we saw with Buveur D’Air yesterday there is never such a thing as a certainty in this game. I agreed with Nicky Henderson taking the cautious approach and not running him in the King George this year after he had one of his hardest races in the Tingle Creek against Un De Sceaux. With it coming in such bad conditions against a teak-tough rival, he must surely have had a hard race. Asking him to then go three miles for the first time would not have been the right thing to do and even though he’s giving weight away this looks the sensible option. Although, after yesterday’s result, Henderson will not be counting his chickens. It is nice for a change to have no doubts about the Welsh National meeting going ahead for a change. The ground not being as heavy as usual should favour the classier horses towards the head of the weights but I have a feeling the prize could be booked for Ireland this year. Last year’s winner Raz De Maree will probably go well again but is surely too old while the ground could probably do with being even softer for Baie Des Iles, though she was fifth in this as a five-year-old so should be better suited this year. It’s FOLSOM BLUE for me, and that man Gordon Elliott. He has worked wonders with this horse since getting hold of him relatively late in life but he has run so many big races, including when fourth in the Irish National last season. On his return over hurdles at Haydock, a race he realistically had little chance of winning, he ran respectably in fourth behind Paisley Park which of course looks a good deal better now. He jumps, stays and has seemingly been trained with this race in mind. Prior to yesterday’s racing I’d have been all over It’s A Sting in this but I felt Harry Fry’s pair of Bags Groove and If The Cap Fits were very disappointing and will just pass over runners from the yard until he bangs in a few winners. I know he had a good spell last week but form comes and goes. Kilcrea Vale looks about where the handicapper wants him at present. Wandrin Star is in a much deeper race and has a huge rise in the weights to overcome so by default almost we are left with SPRINGTOWN LAKE. Philip Hobbs’ charge made the well regarded Mr Whipped pull out all the stops at Haydock last time out and should relish this step up to three miles here. He had been impressive at Sandown the time before and is very unexposed over fences. It could be a big day for Jody McGarvey at Leopardstown where he rides Great Field in what looks a fascinating two-mile chase against Footpad and Ballyoisin but Willie Mullins has also employed him for BLAZER (3.00) in the valuable handicap chase. He has been mixing hurdles and fences recently, finishing second to stablemate Sharjah in the Galway Hurdle being well fancied for the Kerry National where he cut little ice. Given a break after that he had a spin over hurdles recently but runs off a lower mark over fences but it does look extremely competitive.